Welcome to Author Wednesday. Today I welcome back Melissa Mayberry who appeared here in July. She’s back for another interview on her Young Adult Romance, Mellifica: Devastating First Love. Welcome back, Melissa. A couple of months have passed since we last chatted. I always love to hear about the rituals writers use. What are your writing rituals? 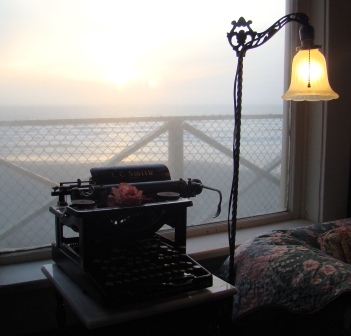 When I first started writing again, I wrote day and night. I wrote on my nights off of work, when I had a break at work, and before I got ready to go to work. That schedule was a learning process for me, and I was truly inspired by my characters and plot development. Now that I’ve finished Book One and Two in this series, I’ve slowed down and write when the inspiration hits. In other words, I spend a lot of time procrastinating! I drive a long way to work, so I do a lot of plotting and daydreaming during that drive. You need to carry a tape recorder so you can get those thoughts down. What messages or themes do you try to convey to your readers? One genre that my books can fit into is drama. I develop my characters over time to show their growth and their learning processes. I hope to inspire women to make better choices by seeing what my main character goes through. Since you’ve finished the first two books in this series, what’s next? Mellifica: Devastating First Love is a dramatic portrayal of a disastrous relationship that I went through in high school. Not only did my boyfriend cheat on me, he did so with a woman who had a high profile in the community. The book chronicles my struggle to regain confidence and to learn the difference between true love and self-gratifying behavior. Book Two is in editing right now and Book Three is a work in progress. Since you’re writing a series, do all your books have a common theme or thread? So far, yes. The theme of the series is dealing with difficult relationships and self-worth issues. I have a few other novels in process that have an array of themes. One is just for fun and another spotlights a difficult relationship between a mother and her son after she divorces. These books allow me to take a step back from Mellifica, but keep my skills sharp. Why have you chosen to write about the theme of Mellifica? Mellifica is based on a true story, so the theme really found me. While I love to entertain, helping other people gives me a sense of accomplishment. I have two favorite characters. Arien, I love to hate him. He is based on an ex-boyfriend. In real life, he was charismatic, charming, and intriguing in a dark, yet geeky fashion. Until I wrote this book, I never noticed him as such a rich character. On the opposite side of the coin, there is Sandy. Every woman dreams of a guy like Sandy. He’s warm, affectionate, and extremely loyal. Sandy fights for what he believes in, and goes through trials of his own. The beach is a place that comforts Mel, but there is a murderous undertow at the end of the jetty that hints of grief and turmoil. In the woods, Arien and Mel find solitude. While alone, the couple doesn’t notice their differences in social class or standing. This is the only place they find happiness. What kinds of techniques do you like to use in your writing? I’m not certain you’d call it a technique, but I like to pull on the heart strings and forge a relationship between the reader and my character. Readers have to care about my characters in order to find my story worth the while. That’s a true gift for your readers. Are you planning to continue writing in the same genre of Young Adult Romance? Mellifica is Young Adult by default. My character is in her late teens, but the content is intended for the more mature. I plan to continue writing mature, romantic content, but not all of my main characters are going to be sixteen. What’s the best thing said about your book by a reviewer? 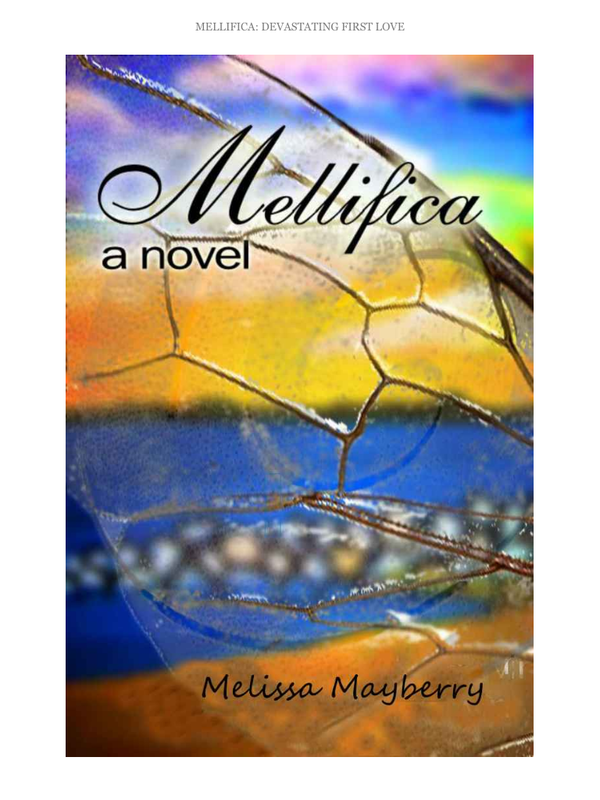 Many readers have said they can’t put Mellifica down. That’s great to hear! If you aren’t ready to read bad reviews, you aren’t ready to publish your novel. Take every review as a learning experience and put on your thick skin. I agree. It takes a thick skin to be in this business. What do you do during your down time? Writing and gardening are my two hobbies. With work and kids, it’s great to have an escape from the real world. I don’t know how you find the time, Melissa. You’re an inspiration. I’m curious to know if you set your books in the place you live. Mellifica is set where I grew up in Gloucester County, Virginia. Really, we’ve all heard of this place. There are many social divisions, everyone knows everyone, and no one has any secrets. Thank you for stopping by Author Wednesday today, Melissa. It’s always a pleasure to have you, and I hope you’ll return when you have Book Two published. About Melissa Mayberry: Melissa believes in living a full life. As a wife, mother of four, full time nurse, and grad student, a story presented itself to her in such a way that she had to become a writer as well. Learning and growing through her work, Mellifica: Devastating First Love is the first of two books chronicling a sordid love affair with a tragic, yet ironic ending. This entry was posted in Author Wednesday, Ramblings of a Writer and tagged authors, book reviews, characters, fiction, young adult romance. Bookmark the permalink. ← Book Review ala P.C.